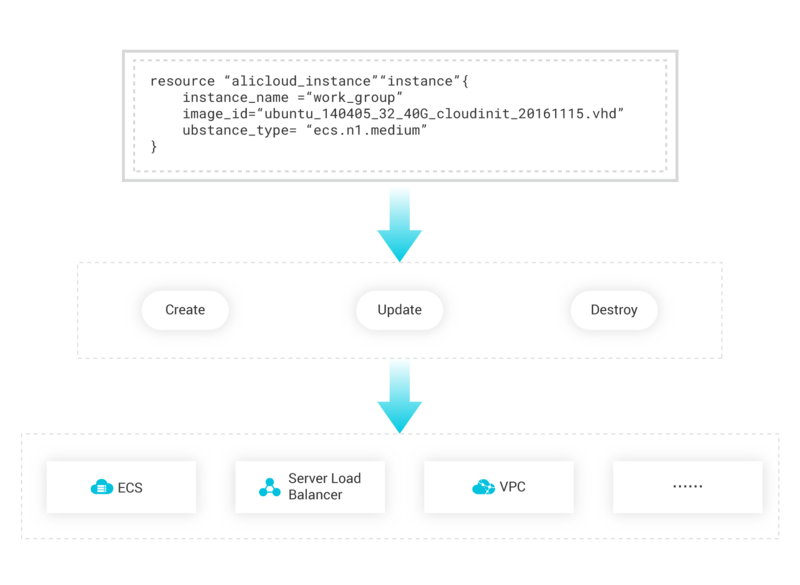 This solution uses Terraform to implement automated O&M management for Alibaba Cloud infrastructure. WRITE, PLAN, CREATE INFRASTRUCTURE AS CODE are used to manage the infrastructures of Alibaba Cloud computing platform, and a template is used to define the lifecycle of infrastructures, from creation, update to destruction. Terraform version V0.8.7 and above support Alibaba Cloud services.